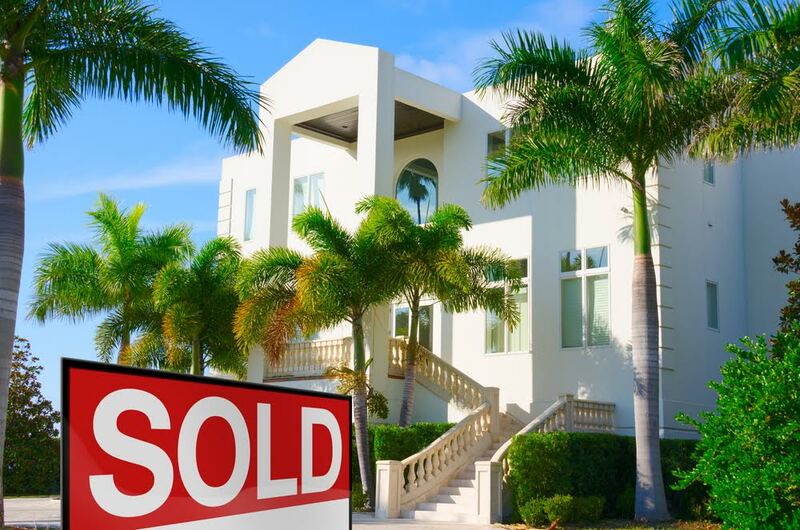 The Process of Buying and Selling Real Estate in Florida | DeLoach, Hofstra & Cavonis, P.A. The purchase of land, commercial property, or a home is often a stressful endeavor. While buying real estate is basically an exchange between a buyer and seller, there are many legal requirements that each party must perform in order to transfer property from one person to another. Making your way from the first tour of a property to closing the transaction can be a frustrating and complicated ordeal. However, you can take some of the confusion out of the process by being prepared throughout the process. Offer acceptance. The process begins when the seller of the property accepts the buyer’s offer, and you both sign a contract agreeing to the sale at the proposed price. At this time, the seller may request a deposit—known as earnest money—be paid to an attorney or escrow agent. The signed contract is then sent to an attorney or title company to legally transfer the title of the property to the new owners. At this stage, your real estate attorney should confirm details of the property, such as the correct address, items to be included in the sale, area and description of land, and other matters listed on the deed. Disclosures. The seller must warn the buyer of any known issues with the property. Commonly called disclosures, these may include past repairs, environmental hazards, and anything else that could affect the value of the property. Sellers must provide a list of disclosures to the buyer before the closing date, and the buyer must acknowledge all disclosures before the sale is finalized. Inspections. It's the buyer’s responsibility to perform inspections on the property within the time period outlined in the purchase contract. There are many different kinds of inspections. In the purchase of a residence, a home inspector is usually the first person called to scrutinize the property. Prospective Florida property owners may also be required to perform a termite inspection and a drywall inspection to ensure a structure—whether residential or commercial—is sound. The buyer and seller are also required to sign a drywall disclosure form attesting that the seller has no reason to believe there are any drywall defects at the time of sale. A real estate surveyor may also be needed to determine accurate boundaries of the property, whether access to the roadway isn't impeded, and if there's anything encroaching onto the property that could cause problems for the buyers. Negotiations and buyer requests. After inspections are complete, buyers may ask the seller to complete repair work, reduce the sales price, or pay for some of the closing costs based on the inspection results. The buyer may also request that the seller offer a home warranty to cover major portions of the home, such as the roof and furnace, for a year or more after the sale. The seller may agree to some or all of the buyer's requests, decline to make repairs, negotiate price. If the buyer doesn't accept, he can continue to negotiate with the seller or end the transaction and have his earnest money fully refunded as long as the due diligence period of the contract hasn't lapsed. Securing a mortgage. Once a final price is agreed, buyers who require a loan to purchase their home must apply for a mortgage. In most cases, buyers must secure pre-approval with a lender before they can make an offer, and must provide proof of homeowners' insurance, flood insurance, and other policies to the lender. Once a buyer is approved for a certain amount, the lender sends a licensed appraiser to the property in order to estimate its value. If the purchase price is more than the value of the appraisal, the buyer may request a reduction in price from the seller. Pre-closing. During pre-closing, a closing date is prepared and all of the paperwork for the sale is collected. This includes the deed, title insurance, lender forms, and copies of all documents necessary to close the sale. The buyer is provided with the final cash figure that he or she will need to bring to the closing, usually in the form of a cashier's check. The buyer is responsible for performing a final walkthrough just before closing to ensure that the property is in the agreed-upon condition before the sale is finalized. Closing. Closing takes place in an attorney’s office, the real estate office, or the title company office. The buyer and seller are both present to sign all documents related to the sale and the loan, and the representative from the title company files the new deed into the municipal records. After all documents are signed and payment is given to the seller, the buyer takes possession of the keys and officially becomes the new owner of the property. No matter if you're buying or selling, you should have a representative working at your side throughout the process. It's not a good idea to rely on the other’s party’s representative to guide you, as he or she is likely paid to minimize cost to the other party. While an agent or realtor can answer certain questions you may have, only your attorney will act in your best interests. Contact us today to speak to a member of our legal team about your real estate transaction. Can My Real Estate Agent Help With Legal Transactions?